Irish the Demon Slayer is an action-adventure-fantasy about 12-year-old Pete (Irish) Kehoe who thinks he’s an ordinary kid—until trees start talking to him and an old woman tells him he’s chosen to defend the mystical Otherworld against the King of Demons. “No way!” He says, until a demon kidnaps his kid sister, Kathy. Then Irish and his two friends, Streak and Huff, time-hop to the besieged world to rescue her. 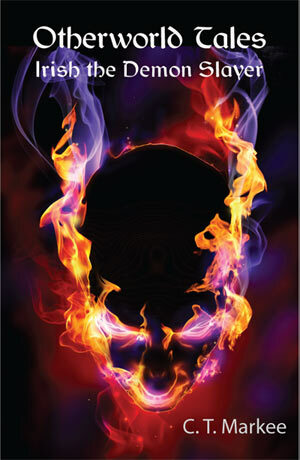 Read Irish's fight scene with the deadly demon, Zagan. Or click on Download PDF to read the first chapter on your computer. Check out Reviews, of the book or . . . Interviews of the author: February 2011, or January 2012, or August 2012. To purchase the $9.95 paperback edition on Amazon, click HERE. Special Kindle e-Book download price $1.99 click HERE. Click on Author Info for information about the author.